Jake Sawyer moves to Eden’s Hollow for the promise of land. The town rule that he marries from The Board doesn’t bother him until his first wife perishes and he’s forced to wed again. When Maralie’s parents head West they desert her in Eden’s Hollow. Fears of survival are negated by the town’s strange policy and she finds herself hitched to a stranger. Will Jake realize what he has before it’s too late? Or will Maralie discover another? 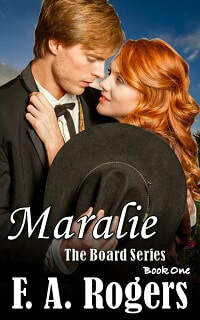 Join Jake and Maralie as they accept the fate of The Board. Also available on B&N, Kobo Books, and Smashwords for FREE!!!! Will Anna go too far to experience an adventure? Reuben Wilson blew into Eden's Hollow, preformed a rescue, and was hailed an immediate hero. But all he wants is to be left alone so he can tend his land. Anna Speare is a pampered, rich girl seeking excitement, not the thrill you receive in reading about someone, but rather a real life rescue. 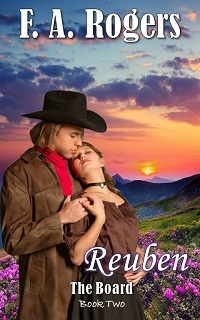 As an ex-lawman, Reuben's used to danger and counts it all as part of the job, but he could never have been prepared for Anna. When Vanessa Crawford and her six year old son are inadvertently left in Eden's Hollow, she figures her dreams of becoming a singer are over. Ben Rivers is a gambler. Caught cheating by the townsfolk of Eden's Hollow, he is offered a choice...go to jail or accept land and a wife. He chooses the latter knowing that his dreams of becoming a writer may be over. Vanessa and Ben are coerced to wed. Will their shared dreams force them apart or draw them closer to together? ​Simon Wilson, younger brother to Reuben, forfeited his dream of a military career after an accident at West Point left him with vision in one eye. The only future he foresees is fulfilling his brother's dream of sharing land in Eden's Hollow. Ruthie Lawrence has escaped Bart yet again, but will he find her...again? What she needs is someone to protect her. Will Ruthie accept Simon's vow of protection, and if she does, will it be enough? ​Derrick Tavers has decided to remain in Eden's Hollow, but when he fails to receive a bride during the annual spring "Board" picks because his name isn't selected, he accepts the position of town sheriff. However, some of the townsfolk take issue with an unmarried sheriff and decide to rectify the situation. Darla Davies is disgusted by the pitiful mail-order-bride advertisements appearing in the classifieds of her local newspaper. But if she doesn't marry soon, she'll be homeless. When an advertisement for a sheriff's bride catches her eye, she takes a chance and responds. Will Darla find the groom of her dreams or will the sheriff balk at marrying a woman he had no part in selecting? Don't forget to check out books 1-4 in The Board Series. They can be purchased individually or as a collection. Daniel Wilson is a self-made man, contrary and independent. Enjoying the fruits of a lucrative career in the railroad business is his only goal in life, so when his brother Reuben invites him to consider living in Eden’s Hollow, Daniel scoffs at the idea. Little does he know his career is about to take a sudden turn for the worse. Katie Wells’ parents have passed on and she lives with her brother and sister-in-law. She secretly follows her brother to the hills outside Eden’s Hollow and is wounded in a rockslide. After awaking from the accident her rescue of a man named Daniel changes both their lives forever. ​ Irving White came to Eden’s Hollow with just one goal – to escape his past. He planned to settle down on a nice plot of land, marry a woman from The Board, and start a family; but it seemed his ideas were too lofty. With The Board picks being slim, he gave up his idea of marriage and agreed to stay on as the town’s physician. Perhaps his new line of work would help him achieve restitution. Chloe Colson has journeyed to Eden’s Hollow with one goal – to avenge her brother’s death. While others in town concern themselves with marrying and settling down, Chloe only wants to complete her mission and return home. With the town inhabitants being close-lipped, she relies on the town’s physician for information. The more she learns, the more she thinks she could be making a mistake by living her life only for revenge. Will Irving’s past be revealed in time, or will keeping the family secret cause his destruction at the hand of the woman he loves? 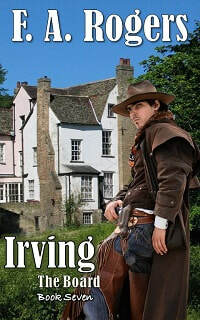 ​Levi Wilson arrives in Eden's Hollow during Irving and Chloe's wedding, but he is not alone. Eve Brannigan is disguised and on the run. When Levi offers her a place as his companion she jumps at the chance. There is only one problem, she's pregnant. When Levi discovers Eve's deception, he doesn't leave her alone or tell her to get lost, instead he marries her. Secrets continue to plague Eve, but her biggest concern has yet to materialize… her fiancé. Levi devises a plan to keep Eve safe, but will his deception ruin their future? Francesca Duran and her companions have been brought to Eden's Hollow for the express purpose of finding husbands. 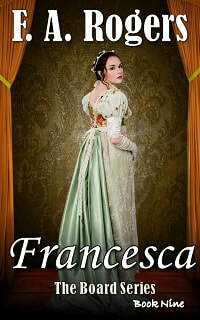 Lacking confidence in herself has kept Francesca's expectations low and she knows she'll be chosen last, if at all. But after a solo at church she is surprised to find several men vying for her attention. There is only one problem…none of them are him. Judge Andrew Becket is fair, just, handsome, and wealthy. Highly sought after by surrounding communities, he chose Eden's Hollow as a place to escape his money grubbing brother. But his residence in the town is only temporary. 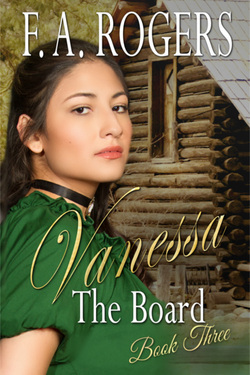 The idea of marrying a woman from The Board is distasteful…that is until he rescues her. Francesca becomes a perfect fishing partner, but then others start to intrude. The men of the town have recognized her talents and everyone wants to court her. Will Andrew accept his true feelings for Francesca or will he allow his fear of misplaced love to hold him back and leave her doomed to marry another? ​ Benjamin Wilson has lost the love of life. Rather than deal with that loss, he takes a job herding cattle. When he receives word from his oldest brother about land and a wife he sees a golden opportunity to start over and maybe make his ex-love jealous in the process. Beth Harns has taken the family horse and sold it. The funds made it possible for both her and her cousin to reach Eden's Hollow. Now all she needs is a husband. Surely a husband will protect her from the abuses of her father. But as Benjamin holds onto the past and the past comes home to roost, will Beth give up on her dreams or will she stick around and fight for him? ​James Wilson has made a life out of protecting his brother's heart, so when Benjamin asks to leave the trail and travel to Eden's Hollow he couldn't have been happier. There is only one little problem. 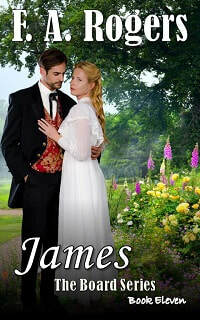 His brother is determined to marry and as usual he wants to drag James right along with him. Abigail has followed her cousin for as long as she can remember. Now Beth has led her to Eden's Hollow and proposed that they marry from The Board. While Abigail doesn't relish a life under the thumb of Beth's pa, she also fears marrying a stranger. After James and Abigail say their nuptials and move into their own cabin, they will need to find a way to live together in peace. But even if they find the peace they seek, will Abigail be able to trust him? ​Matthew Wilson has questions, many questions. Such as, why he isn't allowed to leave the valley to find a wife? All he wants is a woman he can love. A woman who darns socks and whom he can spend the rest of his life with. But Pa is determined to keep him home. Why? Caroline Stewart is on a mission. There is only one problem—she is lost and being pursued. A knight, not in shining armor, comes to her aid. While he may be everything she ever dreamed of, he is unattainable. Ted's reputation doesn't allow for such luxuries as a husband and a home. But after she shares the truth of her mission with Matthew and he still offers to help, she has a glimmer of hope. Is it possible they will survive their family's past indiscretions and revive something once great, or will they give up and never know what could have been? Join me in the last installment of The Board.